Offering the highest quality service available! The Number 1 Choice for Residential inspections! 100% service guarantee:, if your not completely satisfied with my service you do not have to pay. If your buying,selling, or one year warranty is about to expire, building a new home, considering an older home, know that finding the right property can be a challenge. Buying a home is one of the largest investments you'll ever make. This process can be very exciting, however how can you be sure there are not defects that could make the experience unpleasant. 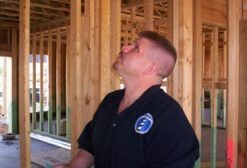 Having your property inspected by a professional inspector can save you time. to clearly display defects found during the inspection. larger companies which usually dispatch a different inspector than the one you arranged the appointment with. He or she will have varying qualifications and experience each time. I am committed to providing the highest quality service available. Let me provide you a with a better understanding of the condition of your dream home or investment property. Feel free to contact me after you have settled in to your new property.I enjoy knowing that my customer's family is satisfied,comfortable and safe. Call to get your listing Move in Certified ! Saturday by Appoint. Only. Check availability and Book it online 24/7.
" A +" Rating on the BBB and Angie's List. 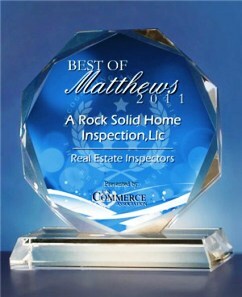 A Rock Solid Home Inspection,wins award for best of local business.